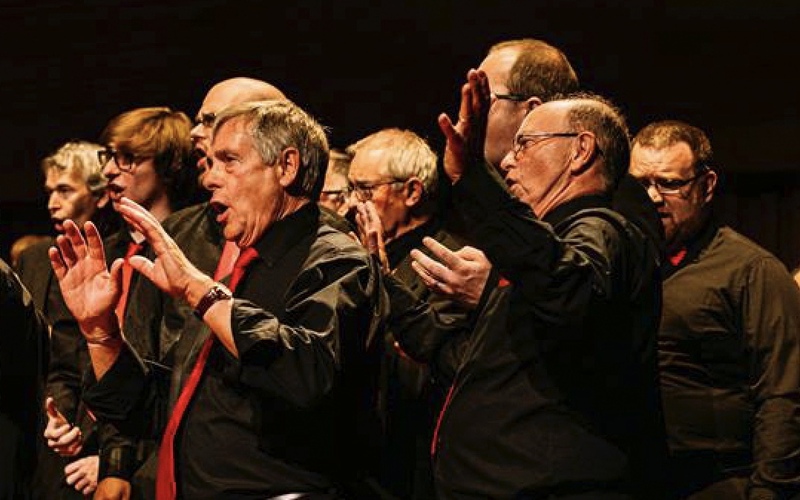 ON Sunday 1 July at 6pm the Royal Opera House Thurrock Community Chorus will unite with choirs of refugees, migrants and local communities in the Singing Our Lives project at Milton Court Concert Hall in London. The project brings together four amateur choirs and professional musicians to share experiences, compose new music to explore the stories and experiences of refugees and migrants in the UK. Singing Our Lives will feature over 200 performers combining opera, classical, popular and electronic genres with music from around the globe. The concert is hosted by Together Productions, in partnership with the Royal Opera House, IOM- the UN Migration Agency, Freedom from Torture, Improbable and the Guildhall School of Music & Drama. The concert will mark the final event of the 20th Anniversary of Refugee Week. 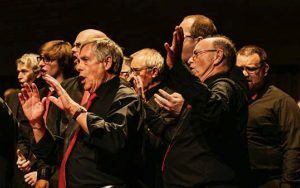 Singing Our Lives 2018 reunites the Mixed Up Chorus, the Royal Opera House Thurrock Community Chorus, the Sing for Freedom Choir and Guildhall School musicians and also features refugee and asylum-seeker choir Woven Gold and Grammy-nominated vocal ensemble Stile Antico. This year acclaimed theatre and opera director Phelim McDermott joins as Stage Director for the project, alongside Musical Director Jeremy Haneman and Creative Producer Holly Jones. Over six months, the five choirs are coming together in a series of workshops facilitated by composer Mike Roberts (Head of Electronic Music & Music Technology, Guildhall School), librettist Sarah Grange and director Phelim McDermott (Improbable), and delivered with the aid of Guildhall School Electronic Music musicians. With music as the common language the singers and musicians will learn about each other’s experience and work with the creative team to compose new music to be premiered as part of an ensemble performance on 1st July.